In recent years, there has been an exponential growth in the amount of data due to digitalization. Many new algorithmic techniques have emerged to use the data for improved decision making. New companies are disrupting traditional markets by innovative digital business models, while established players are booking success by adapting their organisations and business relationships to the digital age. Thereby, Data Science—the art of turning data into value—becomes a key competence in business organisations and governmental institutions. To respond adequately to the resulting increase in demand for expertise on how to transform data science into (business) value, we offer an executive MBA with a focus on Digital Business. 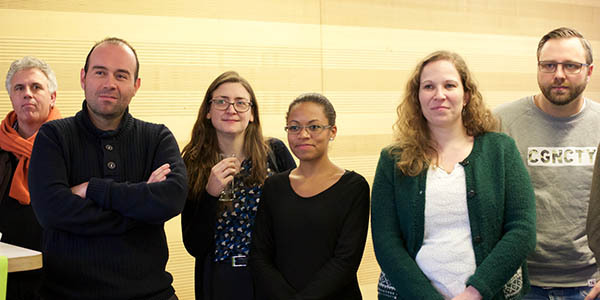 It connects Maastricht University’s expertise in the field of data science and its applications, with current and pressing business challenges from organisations and governmental institutions worldwide. Together we find new routes to navigate the complexity of this topic. The MaastrichtMBA is about developing talent together. We take a highly personal approach to learning with Maastricht University’s renowned “Problem Based Learning” (PBL) as our leading pedagogy. In small groups, we challenge you to interactively acquire knowledge and skills as you share your diverse work experiences. By reflecting on these experiences, you create meaningful new insights together. In fact, working so closely with fellow students and teaching faculty brings you the most valuable learning experience of all! Your learning does not stop where the classroom conversations end. We combine PBL with experiential learning so that academic insights are tightly connected to practice. 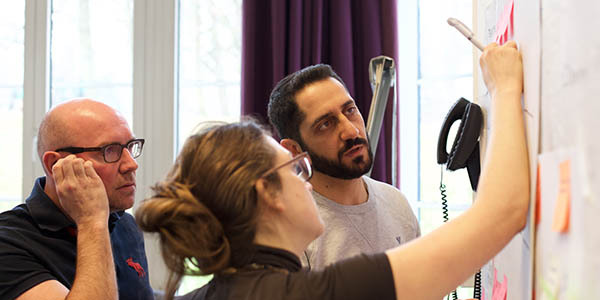 Our participants develop the ability to reflect on their experiences and to translate their reflections into actions. After bringing cases from your own work environment to class, we will show you how to actively experiment with your newly acquired knowledge in the workplace. 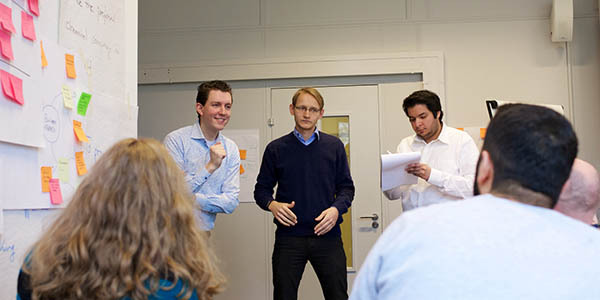 After completing the MaastrichtMBA, you will truly “walk the talk”! Bienvenida! Benvenuto! Karibu! 歡迎! добро пожаловать! The MaastrichtMBA is home to students from all over the world. We have 28 nationalities represented in our programme. Our corporate network is a melting pot of almost 60 global employers, public and private, profit and non-profit. Once you have earned your MBA, your connection with this diverse group and network will open doors in many places and fields: healthcare, manufacturing, finance, banking, commercial services, IT, telecommunications and consulting. 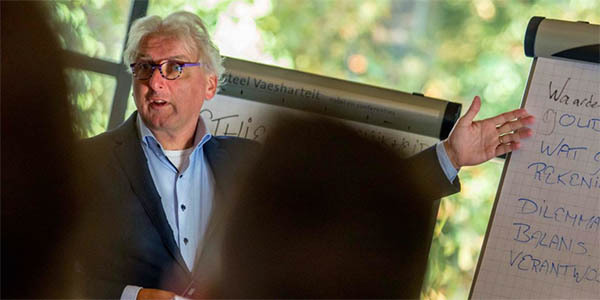 The MaastrichtMBA is designed around a smart bundle of eight holistic business themes you can cover in any order – an excellent solution for ambitious professionals who sometimes just need to prioritise work above study. For each module that comes along, simply choose whether you will join it or not. As long as you complete all educational weeks within four years, you are free to arrange your study however you like! We meet 4 times a year from Monday to Friday. The MaastrichtMBA is part of the Maastricht University School of Business and Economics. We have been accredited by the three leading international quality assurance bodies: AACSB, EQUIS and AMBA. This so-called Triple Crown accreditation – granted to only 1% of all business schools worldwide – confirms our high quality of research and education, and guarantees a world-wide recognized value of your diploma. Furthermore, we have been accredited by the NVAO, the independent educational accreditation organisation for higher education institutions in the Netherlands and Flanders. 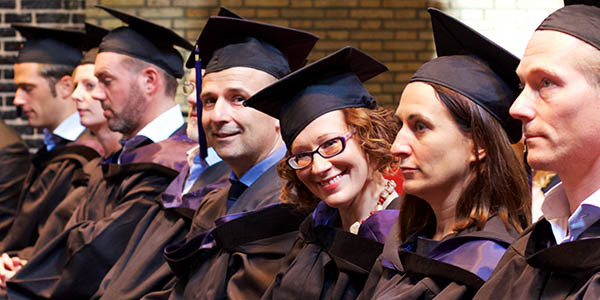 An important practical advantage of the NVAO accreditation is that MaastrichtMBA students can get funding through the “Lifelong learning credit“ (Levenlanglerenkrediet). On top of the existing international Triple Crown accreditation, this confirms that our MaastrichtMBA is among the best in the world! Our dedication to educational excellence is also reflected in international rankings where we clearly stand tall in the big boys’ league. 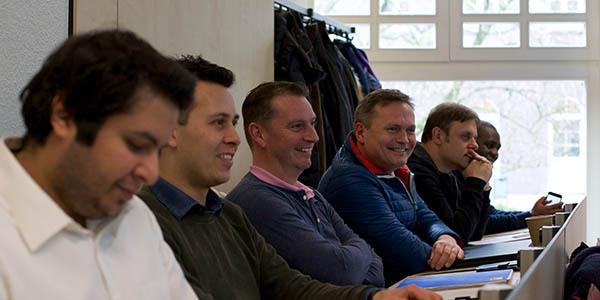 CEO Magazine awarded the MaastrichtMBA with a Tier One rank as second best executive MBA programme in the Netherlands and 25th place worldwide in their Global Executive MBA Ranking 2018. Corporate Knights ranked our programme as one of the world’s leading game changers in the Better World MBA Ranking 2018, which is a major global ranking to evaluate graduate business programmes on their integration of sustainability into the education of future business leaders. 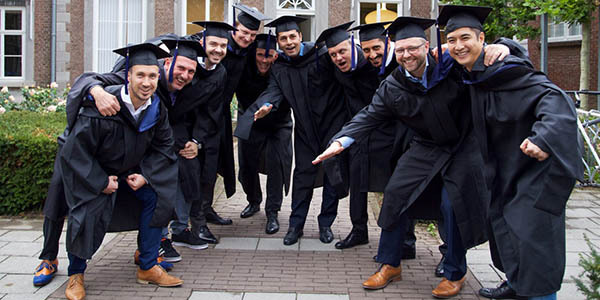 Apart from rankings on programme level, Maastricht University in general also internationally competes with the very best institutes worldwide. In two prestigious rankings that list the best universities worldwide under the age of 50, our university scores very high grades. In the 2018 QS Top 50 Under 50, Maastricht University holds 13th place and is described as “an innovative, research-oriented and the most international university in the Netherlands”. In the 2018 edition of Times Higher Education 150 under 50, we hold 5th place!